Documenting your “raids” in WOW or other games has been a standard practice in the gamer community for a while. For the record, I am not a gamer. Playstation’s most recent ads have been highlighting their new “share” functionality for gameplay which is a big feature for the platform. This is clear example of where Marketers need to go in the future. Watch and listen to what your users and brand ambassadors are doing, and then make it easier for them to do what they enjoy doing. Sony delivered and then some. Social gaming has always been big in the game experience, but making it easier to document and share gameplay will change how gamers can easily share and connect about moments that matter to them. Thus making them happier engaged members of the community, and maybe even changing the way people play games. This could have a big impact on learning how to beat levels, develop your skills, or challenge people from across the globe. Documentation has always been a form of measurement, which can only lead to other insights. What other industries could benefit from allowing their customers to document and give real time feedback about their experiences with their product. Everyone is already doing this to an extent with social media monitoring, and whatnot, but can brands make it easier to work with their community? Yes. If you give your fans what they want, they will not only be happier, but they may help you evolve as a brand. 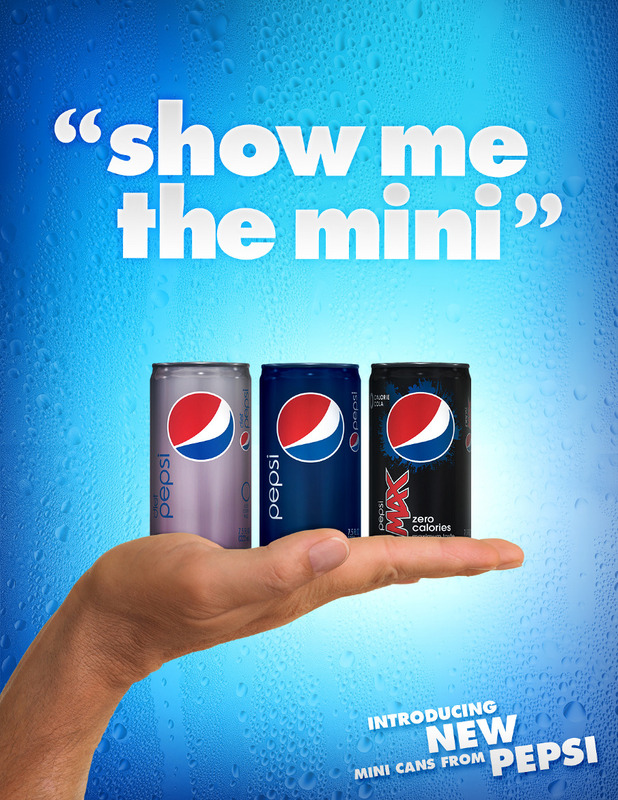 Mini Pepsi: Its What’s on the Outside that Matters. We have seen mini before. Most recently every candy bar and snack has been reduced to snack size for bite sized cravings. From a business perspective, I think its super impressive that by going bite size, the soda giant might appeal to those who want just a bit, or something to hold them over till their next soda. I am not sure of how the new cans are priced, but it would be interesting to compare the delta between the costs of the new mini cans, normal cans, and the final cost to a consumer. They are far cheaper to ship and bottle I would assume, and the cost maybe be similar to a full can. Mini cans have been around in airplanes and hotel mini bars for a while. It will be interesting to see how they perform in a mass audience. Sometimes, its not whats on the inside. What happened to Global Warming ? Its easy for large nations to push global warming aside. But when a few inches can determine your existence it becomes something more real. I am specifically talking about the island nations of the world. This was an eye opener. Global warming is only one part of this discussion. It made me remember the TED talk of William McDunough, for creating a better tomorrow through considering product cycles and “crade to crade” production. Our Society will have many large problems to start to tackle in the next few decades. Follow and believe in the people who are trying to solve them. While google glass is running into issues about the legality of use while driving, other uses of augmented reality are taking off. Skully helmets have taken the same functionality to a niche, and found success. On that note, Oakley was exploring the same UX a few years ago. It seems that exploring a heads up display for everyone has run into challenges and fear, where AR solutions for the long tail and the particular have been embraced. Where must PR have gone wrong where certain technologies drive people to the worse case scenario rather then what could be. Positioning off the bat is vital. Listen to what your customer want, and deliver. Capture their imagination off the bat. They will embrace the promise of something new rather then critique the holes. 3d projection mapping for buildings has been done for advertising and agencies for a few years now, but it has only thrived in post via youtube for brands. The recent use of 3d mapping for the Cleveland Cavaliers made its way around the internet recently for a few reasons. Its an interesting example of an existing solution, mapped to a new type of problem, which just seems to fit. The solution is entertaining, and contextually makes sense. Here are a few more thoughts on this project. 1. The game court is essentially an empty screen while the game is not going on. Therefore, how can advertisers or programmers use this space for fan engagement. Can we take this a step further? 2. Pregame and halftime shows have been historically very analog. I know this show must have cost a lot for projection, but it also made an impression. However, I wonder if being in the dark was a problem for some fans trying to find their way to their seats. 3. Rethinking opening sequences. 3d mapping in general has never really added to an experience, it has only been a wow factor thing that made people stop and look. However, in a “coming attractions” context, it was a great opener to the show. The key here is that the technology added to the story and fan experience, rather then just being for tech sake. This is a very important distinction. Technology without context and purpose is just a fad. 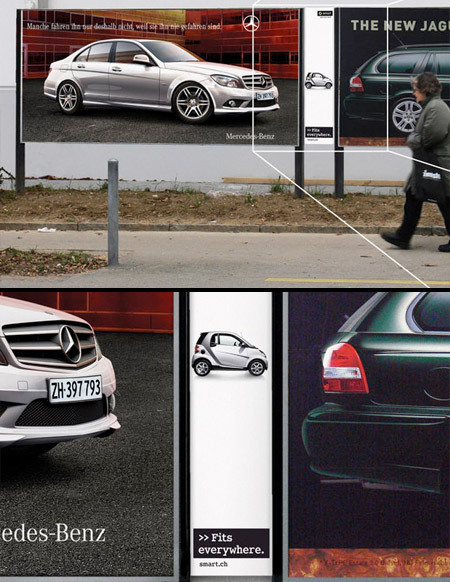 But use it as a tool for create a touchpoint for something memorable, and people will never forget it. fully automated robot that completely takes over = okay, I want one. So in a sense, it seems that humans are scared of the human element. Who will get to decide how much we allow machines to help us. As many of us watch the news unfold, I am impressed when I come across engaged citizens that come together to figure out a solution to something that sometimes seem unsolvable by any one person. 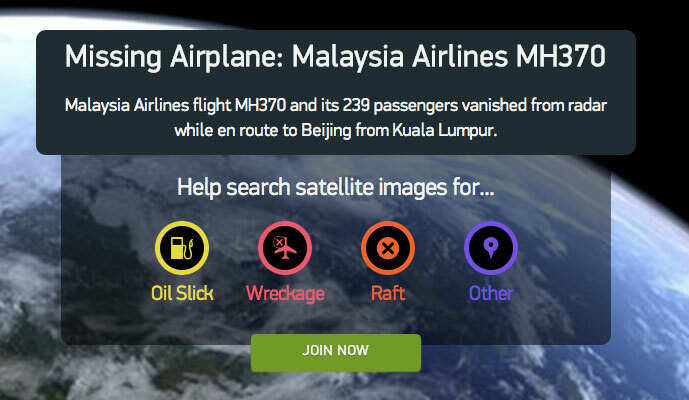 A company called Tomnod uses crowdsourcing and mapping data to help find things – in this case possible pieces of what could be Malaysian Flight 370. 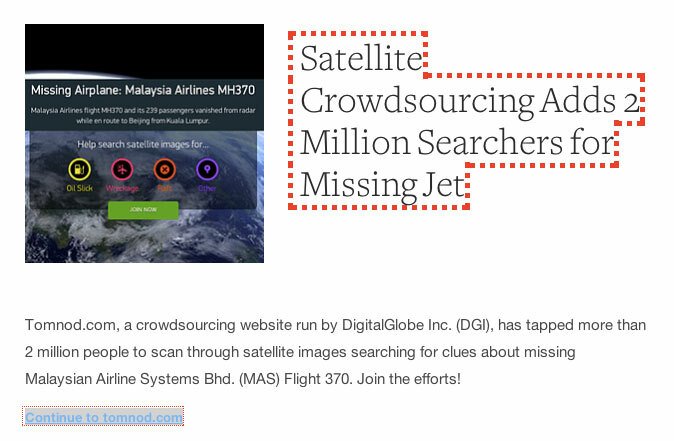 They have posted a few calls to action to ask people to help search parts of a grid that may contain parts of the plane. In an age where many people call us apathetic and ethnocentric, there is always a side of global altruism that emerges during certain disasters. I wonder what other uses of distributed computing and crowdsourcing may play a part in future relief efforts or other non emergency types of situations. It’s a new form of volunteerism that I feel will be mainstream sooner then later. Over the last few years, I have heard countless hackathons and unconferences suggest that people should mashup maps and graffiti to create an online gallery of art to experience from the WWW. Im not sure that google or redbull had the respect in the street art community to launch this, but its awesome. 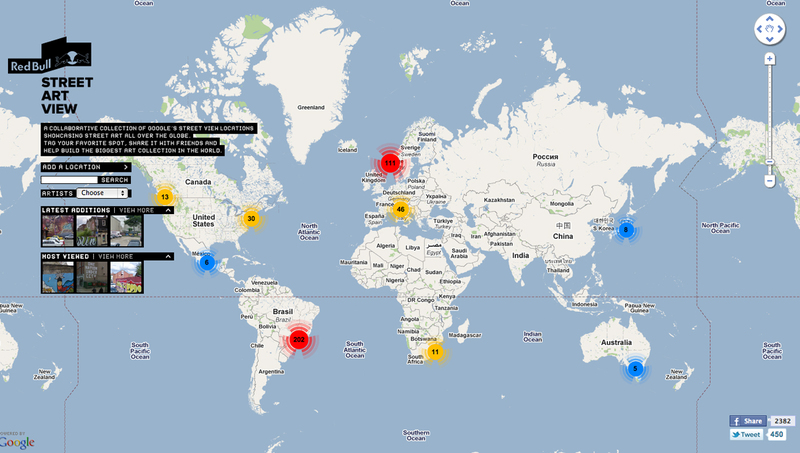 I love that the created on open platform to allow other users to populate the data and create something truly unique. Another examples of brands collaborating and creating platforms rather then content. Allow for Greatness to Happen. Most people think Obama’s appearance on Between two Ferns was out of place. However, it shows a pattern of him going to where the conversation is, rather then asking people to come to him. Plus from a media syndication perspective, it shows that the white house really understands influencer identification, star-power, and the effectiveness of their campaign strategy. They also understand that influence happens at both the individual level and that certain outlets / programming channels are very effective to hit target demographics. Both of these campaigns were very successful and entertaining PSAs. Whether going after geeks, doing an AMA, or his late night appearances, it has shown his ability to adapt, appeal to be likable, and get noticed. And if that brings attention to the media agenda they are pushing, thats quite smart. A second wave of an amplification effect kicks in about media talking about other media as well, allowing his message to have an even broader reach. Whether you like him or not, I think it says something when the white house starts out performing other major ad agencies on healthcare reform. Think smarter about content planning and media distribution through earned media channels. And lets learn from those who are doing it right. Data is always historical. However our goals are always future focused. There is a science and art to data and strategy. One part is very rational, and another is emotional. Knowing how to merge the two, and depart from the obvious is where true innovation starts to occur. People turn to analytics to measure performance, determine data driven insights, and establish strategy based off the summation of all of this. This type of thinking is great for identifying outliers, becoming aware of existing behavior, and a several other types of insights. For the most part I personally think this can be incremental. This has a place. I am not saying its good or bad. It just shows you exactly what you went looking for. Now lets consider another part of this equation. Where do you want to be in x months? Could it be that we need to incorporate an entirely new way of thinking that is not currently being measured. Something that no one is looking for. If we need to make leaps, instead of incremental milestones in progress, sometimes we need to step aside from the data and set our own goals using new tools and create new data sets. The issue with ONLY relying on historical data is that innovation does not always show up in a data set. Even if you crowdsource popular opinions of what people want, they can only think so far ahead. And sometimes the true disruptions and innovative outliers are overlooked to make a prettier graph. This is an common issue in social media. These outliers could be the next ipad, tesla, or facebook. Reference here to the famous Henry Ford quote ” If I had asked people what they wanted, they would have said faster horses.” Sometimes the data was right, but to grow and move ahead, one needs to assume the data could be wrong if you could see what the future data would look like. Things change. Data can always show you where you have been. But it cannot always show you the best path forward.